I’m not fond of the tendency to label any interesting new anime director as ‘the next Miyazaki’. Partly this is because I’m a far bigger fan of the Studio Ghibli films by other directors but it also just strikes me as an easy crutch, and to apply it to filmmakers who are as individual in their vision and as different from each other and Miyazaki as Makoto Shinkai (Garden of Words, Your Name) and Mirai director Mamoru Hosoda doesn’t feel particularly accurate. 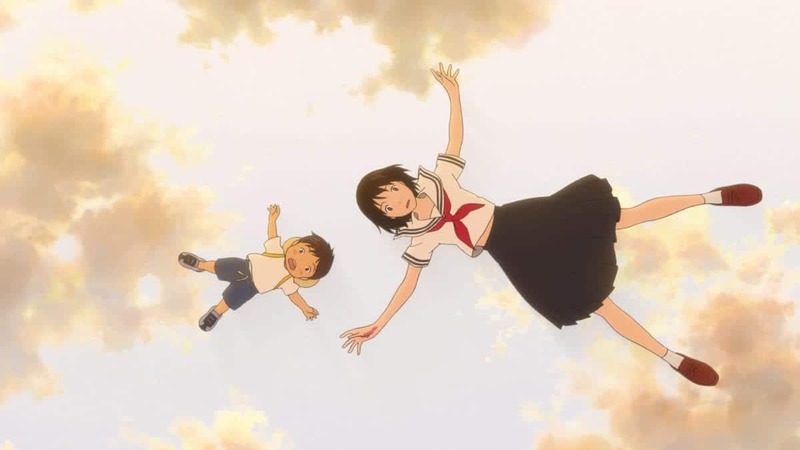 Hosoda started out by directing a segment of The Digimon Movie, but when he graduated to solo projects he immediately made a mark applying big, fantastical, concepts to intimate human stories with The Girl Who Leapt Through Time, Summer Wars and his masterpiece, Wolf Children. His most recent effort, The Boy and the Beast, felt like a stumble, never quite hitting the way his other films had, so I was hoping for a return to form with Mirai. 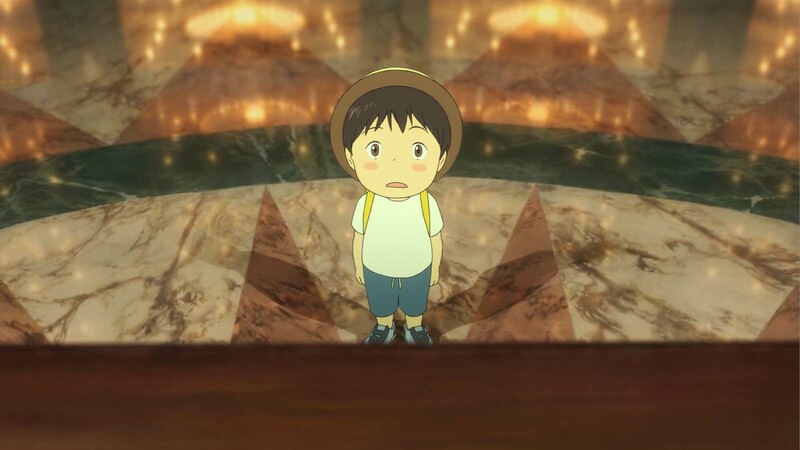 Kun (voiced by Jaden Waldman in the English dub I saw) is four years old and when his parents (John Cho and Rebecca Hall) have another baby, Mirai, he feels left out because their attention is turned so much towards her. 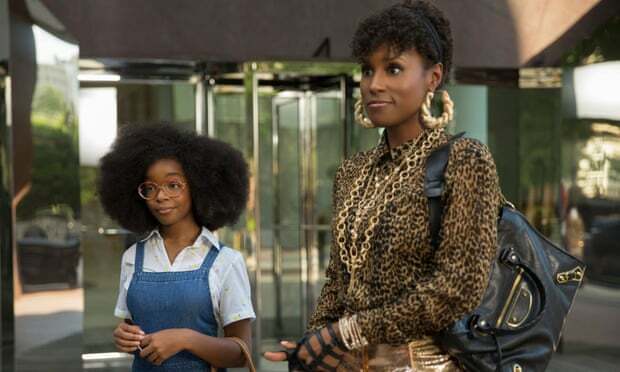 Later he is magically visited by the future version of his sister, and is able to travel back and forwards in time, encountering his mother and his great-grandfather (Daniel Dae-Kim), all the while learning to deal with having a new sibling. Like his other films, Mirai finds Hosoda tackling his story through a big high concept vehicle, in this case time travel, but as ever it is as much in the minutiae that the director excels. Often when filmmakers depict children, even ones as small as Kun, they essentially write them as miniaturised adults. That’s not the case here. The early sequences of Kun trying to process his feelings about the new baby and his jealousy of the way that she takes their parents away from him are rendered with great clarity and an eye for real behaviour. This came through strongly in the gasps from my audience when, in a tantrum, Kun hits Mirai with a toy train. That same eye is also there in the way Hosoda observes Kun alternately clinging to and rejecting his parents, or feeling he’s off on an adventure before becoming scared. He may be a drawing, but Kun is one of the most three dimensional protagonists I’ve seen lately. As much as this is Kun’s story, it is also that of his parents, and while they get less screen time the animation and John Cho and Rebecca Hall’s performances both give us a credible picture of two overwhelmed people who love each other and their kids very much. Again, it’s more relatable than many on screen marriages we see in live action. Because the action is often structured as vignettes (Kun gets jealous of Mirai, decides he hates his parents again, walks out to the garden and is transported to the next time travel destination), Mirai can feel rather bitty. The individual pieces are charming. Some, like the two sequences of Kun learning to ride his bike, are simply lovely observations of the challenges and triumphs of family life. Others take amusing leaps of fantasy, for instance the first surreal sequence, which sees the family dog appear in human form as the Prince of the house, deposed when Kun came along and sympathising over Mirai’s arrival. Others still provide effective counterpoints to the present day action, for instance when, after being told off for making a mess, Kun encounters his mother as a mischievous and messy toddler. These moments and more are wonderful in isolation, but that is initially how they come across; as isolated bits that don’t quite draw together. That changes towards the end of the film when Hosoda unveils what is both the film’s biggest concept and something that serves to unify all of its sequences. It’s a beautiful moment that looks back to Summer Wars in some of its visuals but more to Terence Malick in its conception and effect. Overall, while it may not rise to the greatness of Wolf Children, Mirai is exactly what I had hoped it would be: reconfirmation that Hosoda is one of the best and most interesting auteurs working in anime. This film is full of his favoured themes, but also of new ways to explore them. For most of its running time this is a more gently engaging film, but the last ten minutes broke me; as I realised how Hosoda was drawing everything together, the tears started, and they didn’t stop for a while. Mirai is on limited release now. You can find listings for screenings here.